W. R. Hamilton and Company Funeral Home on Cass Avenue. Photo by Steve Neavling. After magician Harry Houdini died in Detroit on Halloween 1926, his body was taken to the W. R. Hamilton and Company Funeral Home on Cass Avenue. His body was embalmed and stored there in a bronze coffin with a glass lid, which Houdini wanted to use as a prop for his magic shows. The coffin was then placed in a crate and shipped by truck to Michigan Central Station, where his body was taken by train to New York. Sadly, the funeral home and the adjacent building, which was built as a mortuary space in 1930, have been neglected and abandoned for years. Lightning struck the funeral home on Oct. 1, causing a fire and creating a hole in the roof. No one has repaired the hole, so rain water is damaging the third floor. 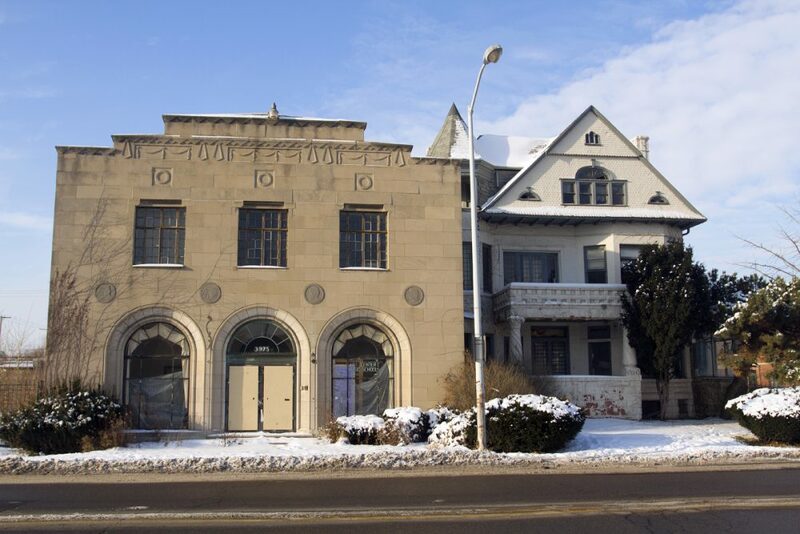 The buildings, which have been owned by the nonprofit Art Center Music School since 1981, are two years behind on property taxes, records show. The owners, who are board members of the now-defunct school, have ignored city orders to clean up the buildings, which are at the corner of Cass and W. Alexandrine. The owners couldn’t be reached for comment. The Art Center Music School has held several fundraisers over the past few years to reopen as a community and education center, but that has never come to fruition. The buildings closed about 8 years ago. Motor City Muckraker is an independent, ad-free watchdog that relies on donations. Your contribution will help us continue serving as a watchdog who answers to no one but the public.